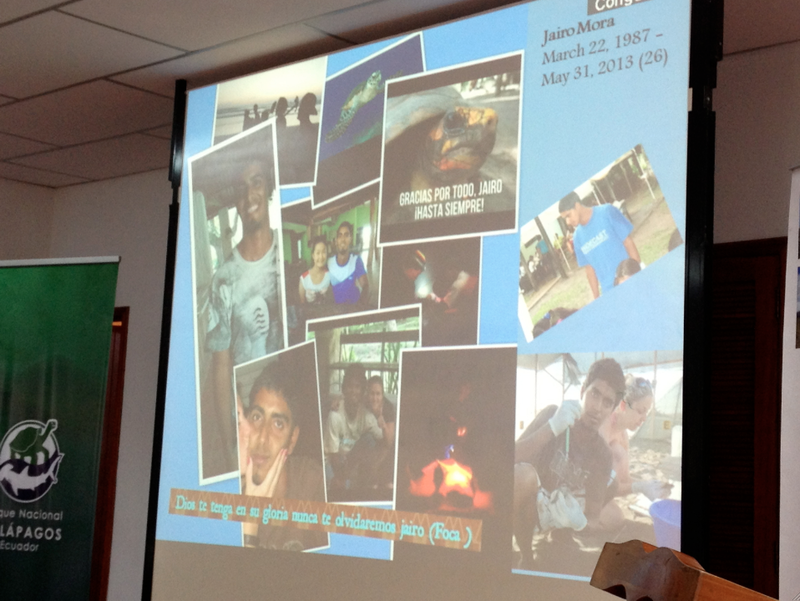 At the conclusion of the session’s first day, Dr. Karen Eckert gave the following eulogy of Jairo Mora Sandoval. Addressing the marine biologist murdered while monitoring sea turtle nests, her comments were deeply moving to all present. She culminated with a call to any willing Conference party to help to take action in remembrance of this environmental advocate. On May 30, a young Costa Rica biologist, Jairo Mora Sandoval, was attacked by five masked gunmen while patrolling Moín Beach with a group of international volunteers near the Caribbean city of Limón. They abducted and robbed the international volunteers, leaving them in an abandoned beach house from which they later escaped. For Jairo the story was different. He was dragged, beaten, and killed; his broken body, naked and bound, was left on the beach that he loved. He was found in the hatchery the following morning. He was 26 years old. 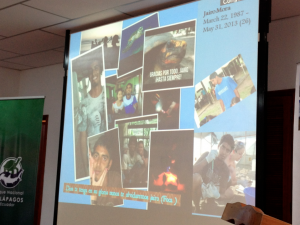 Jairo is a native Costa Rican – but in many ways he is a child of Central America. His maternal grandfather was from Honduras, his paternal grandfather was from Nicaragua. He grew up with a strong love for the wild creatures of his country, and at the age of 15 he began to volunteer on sea turtle nesting beach patrols in the Gandoca-Manzanilla National Wildlife Refuge near his village. As his expertise grew, he participated in other sea turtle projects on the Caribbean and Pacific coasts. Over the years he has been responsible for the protection of hundreds of endangered leatherback sea turtles, and thousands of hatchlings. His dedication to their survival was unshakable, even surpassing his own. Jairo had been threatened before, but had chosen not be armed. Instead he had collaborated with local law enforcement, asking them for support and fellowship, and they often joined him on the beach. Indeed, there were law enforcement officers on the beach the night he was killed, but the kidnapping and murder were accomplished without witnesses. The murder made headline news around the world. A consortium of international conservation organizations quickly raised US$ 60,000 for information leading to the arrest and conviction of the persons responsible. More than 150,000 signatures have been posted to online petitions addressed to Costa Rica’s President – pleading for justice. Similarly, letters have been sent by prominent international organizations, including IUCN, WWF, WIDECAST, and the International Sea Turtle Society, among many others. There has been no arrest. The killing apparently has a narcotics connection. Everyone in this room knows how difficult it can be for a government to control areas of the coast where drugs are being brought into the country, generally at night. Sea turtle biologists all over the world are also aware of these risks and there are places where we cannot work as a result. Despite our collective determination to continue the urgent work of sea turtle conservation, it’s clear that that this horrific crime, which as yet holds no consequences for the killers, puts at risk every biologist working in the Americas, every volunteer who seeks to answer the call to serve, and every program that relies on dedicated community-based conservationists, international volunteers, and the goodwill of donors. We shed our tears with Jairo’s family in the terrible loss they have suffered, and we offer our prayers and our promise to keep Jairo’s sacrifice always in our thoughts. In memory of the young man who devoted his life to implementing the IAC’s goals and principles, we always be mindful of his devotion and use his action as inspiration for this convention.